Breckenridge Distillery Restaurant brings the unique flavors from Chef David Burke and good company together in a relaxed mountain setting.  Using whole animals as much as possible, our flavors are big and bold, yet remain rooted in traditional American cuisine. When Chef was designing the BDR menu, he wanted to give people local, seasonal and approachable dishes. American food that complimented the fantastic spirits of Breckenridge Distillery. Billie Keithley, eight-year Distillery veteran and Breck Distillery’s Liquid Chef uses locally and seasonally sourced ingredients to craft our cocktail menu. Her deep passion for hand-crafted cocktails exceeds the boundaries of creativity. “If it is edible, I can create a delectable cocktail with it,” says Keithley. 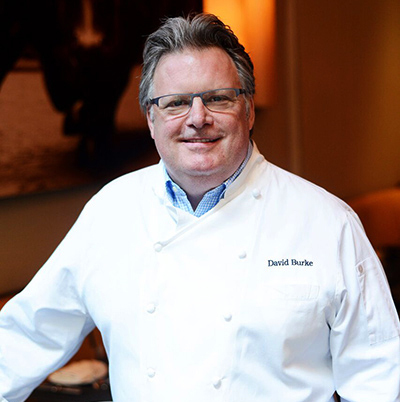 Chef David Burke is a graduate of the Culinary Institute of America and a student at Ecole Lenotre Pastry School in Plaisir, France. As a culinary pioneer, Burke’s innovations and revolutionizing techniques appear on menus all over the world. In 2011, Burke received the ultimate honor presented to inventors: a United States patent. It was awarded to him for the unique process by which he uses pink Himalayan salt to dry-age his steaks for up to 100 days. For large orders or meat by the pound*, please inquire for pre order. *48hr notice for meat by the pound or large orders required. on the clothesline, three pcs. Limited availability. Please allow a little extra love and time for preparation. Pre-orders strongly recommended. for availability and seating options- We look forward to hosting you! Some items may not be available due to seasonality or availability. Sweet with a hint of cinnamon. Breckenridge Pear Vodka spiced simple syrup and citrus. Hints of rosemary and lemon bring out the complex ingredients in this Breckenridge Gin cocktail. Gin, rosemary and lemon. May the force be with you! This cocktail has our PX Sherry Finish Whiskey and seasonal flavors such as pomegranate, cranberry and cinnamon to elevate this sipper. Breckenridge Spiced Whiskey with notes of citrus, cider, seasonal spices, blended with caramelized apples. This apple pie cocktail can be enjoyed any time of day. Our flagship Breckenridge Bourbon perfectly compliments the dark cherry, plum, Jamaican allspice and orange zest. Someone say WAKE UP! Breckenridge Espresso Vodka, bourbon barrel cold brew coffee, a dash of winter spice and egg white. Everyone craves Colorado beets! Breckenridge Gin, Colorado honey, beets with a hint of tarragon and lime bitters. Vanilla apple cider cocktail that utilizes Breckenridge Bitters to cut the sweet and warm you up on a cold afternoon. Breckenridge Bitters and vanilla bean cider. A nice mix of Breckenridge Chili and Espresso Vodka with milk chocolate hot cocoa topped with espresso whipped cream and a spoonful of Nutella. A refreshing hint of floral, heat and smoke using Breckenridge Chili Chile Vodka, rose and wasabi simple syrup with a touch of citrus. Influenced by a classic Negroni using our Breckenridge Bitter, Breckenridge Gin, in-house sweet vermouth, cranberry and orange bitters. Spirit forward cocktail with a journey through ginger and all your favorite winter spices. Breckenridge Spiced Rum, a house mix of winter spices and ginger. The history of the sour runs deep. This quenching tipple balances Breckenridge vodka, grapefruit, pineapple, yuzu, clementines, Himalayan sea salt and egg white. Appearing in the 1800s, this classic is made with Breckenridge Gin or Vodka, in-house vermouth, up or on the rocks with a twist, Point Reyes blue cheese olives or traditional cocktail olives. The Old Fashioned way to make a cocktail: spirit, sugar, bitters and water. Breckenridge Port Cask Whiskey, raw simple syrup, barrel-aged whiskey bitters and a brandied cherry. Tied to Captain James Lawrence and the USS Chesapeake. We use Breckenridge Bourbon, Breckenridge Bitter, cherry, velvet falernum and lime. History suggests this cocktail originated at the Manhattan Club NYC in the early 1870s. Spirit forward and a classic favorite. Breckenridge Bourbon, in-house sweet vermouth, Breckenridge Bitter and a brandied cherry. Oaked & Smoked reflects the 5 components of a classic punch done Colorado style. This is a balance of flavor indulgence heightened to another level. Breckenridge Bourbon, Breckenridge Spiced Whiskey, in-house allspice dram, tea, and citrus. Barrel-aged and smoked with apple wood. Served for one or family style. Breckenridge Bourbon, Breckenridge Bourbon 105, Port Cask Finish, Spiced Whiskey. Balanced, Spice Forward, Oak Forward, High Ester. Guests can park in the back parking lot behind the restaurant. We also are accessible via Summit Stage bus route and offer a free shuttle everyday from 11am-10pm. Call (970) 445 8613 for pick up.